There's a Great, Big, Wonderful World out there, and we all have the pleasure to experience it! 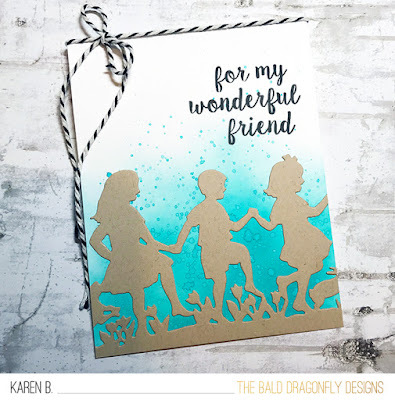 There's also new release from Spellbinders Great, Big, Wonderful World with products made by Sharyn Sowell. My first card features the sweet Dance for Joy with a patterned paper background. I love the dancing, joyful kids and the striking silhouette. I used the Butterfly and Flora Die to create a dainty scallop border. 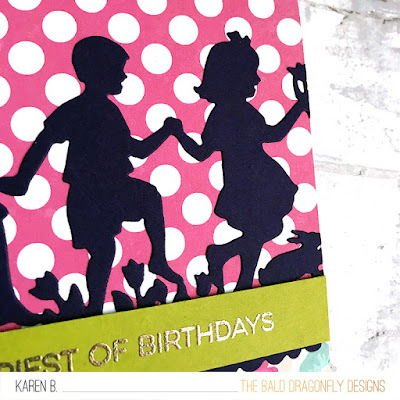 My next card also uses Dance for Joy in a more clean and simple format. I took a white card base, ink blended a blue sky and added some droplets of color. I then stamped the sentiment, also from Spellbinders, and then adhered Dance for Joy. I finished the card with some baker's twine. 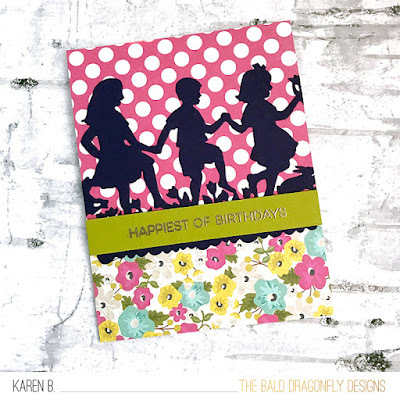 I hope you have a chance to check out this delightful collection by Spellbinders! These are adorable Karen! The silhouettes are so sweet. Love them with the polka dots and florals!